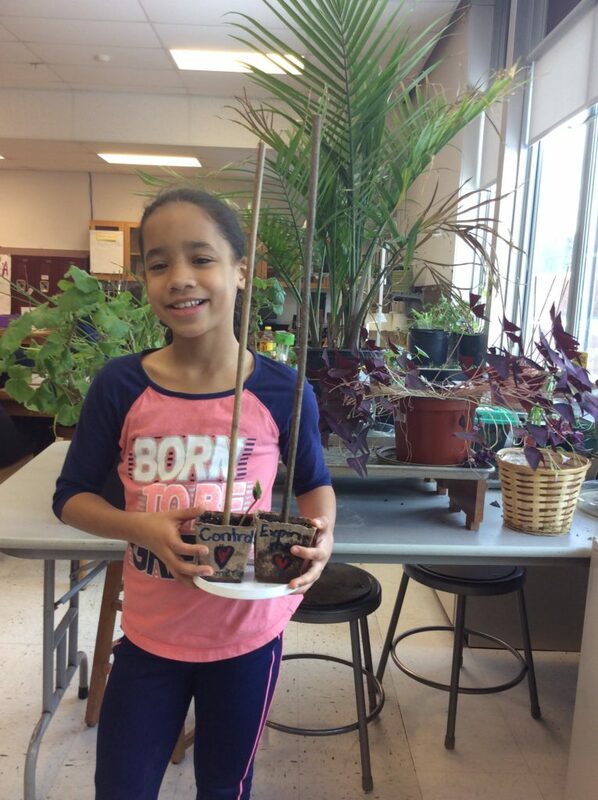 Fifth grade students at Sidney Elementary School in Mr. Gray’s gardening class are two weeks into the Big Bold Bounteous Blooming Bean Contest. 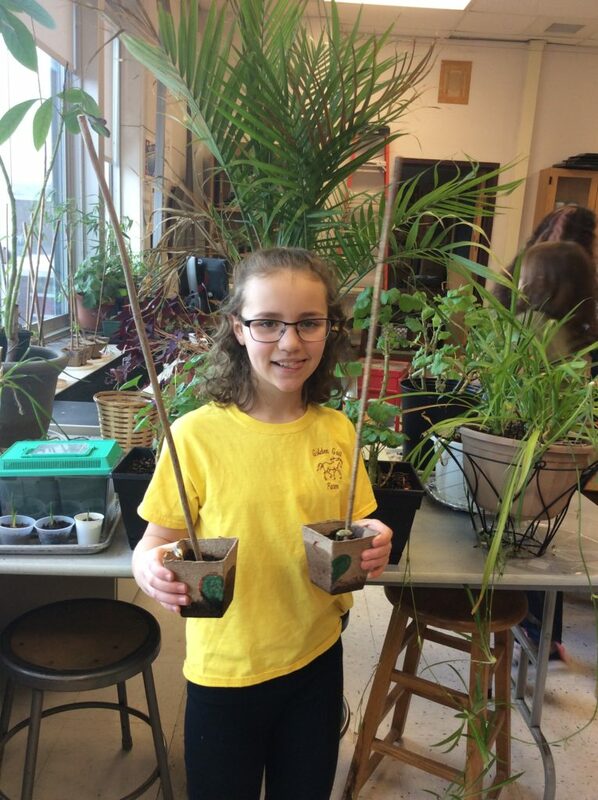 Each student was tasked with growing two bean pots for the competition – a control group and an experimental group. 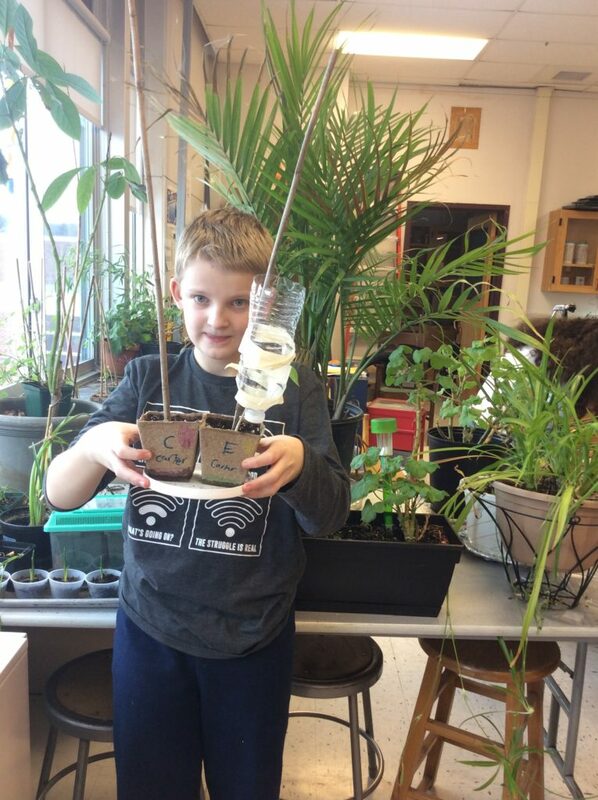 There was no shortage of creativity in experiment designs, which include an emotional support chicken, watering with an apple juice blend, and a plastic bottle engineered to gradually water the bean plant throughout the day. As a class, students selected a single bean variety to ensure a scientifically sound experiment. The students chose the Cherokee Trail of Tears heirloom bean, which the Cherokee Nation saved over generations. Before the experiment, Mr. Gray’s students learned about the Cherokee’s forced displacement and the resilience to preserve traditional agriculture practices.